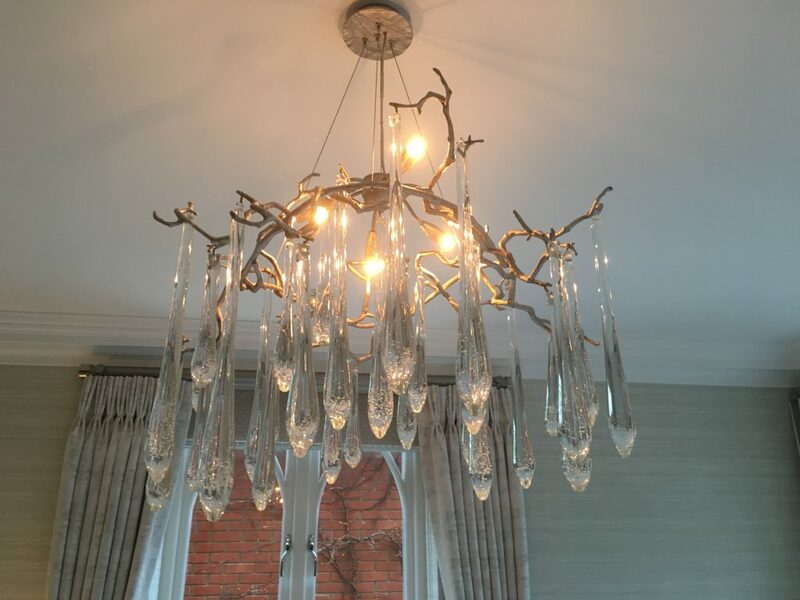 We recently supplied this stunning chandelier to a home in Esher, Surrey to hang over their dining table. We visited our client’s home to discuss their requirements and after browsing through our metal colour and glass samples we decided on this model. We think it looks absolutely stunning and our customer is delighted. We love the way the light is captured by the bubbles in the glass droplets.